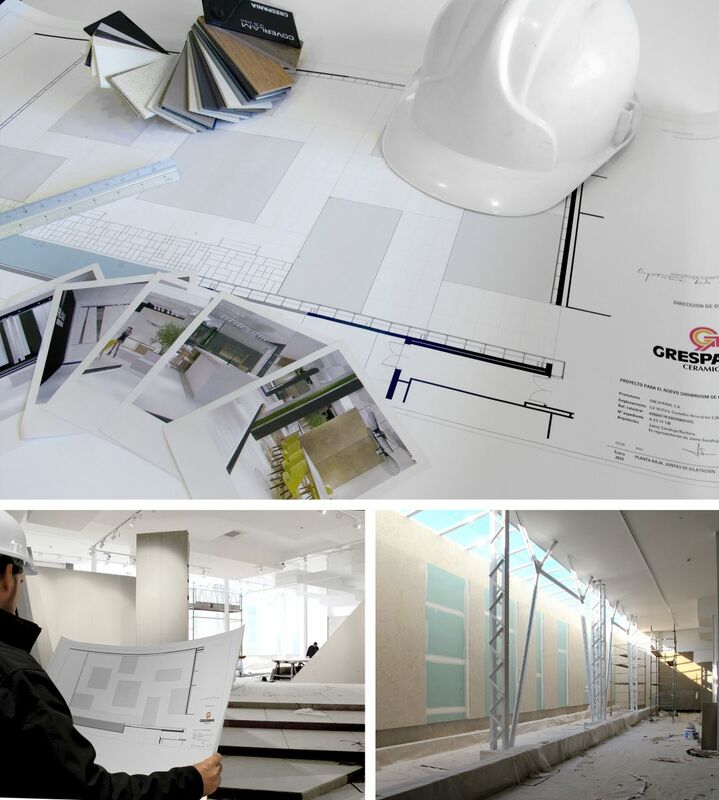 This new 1000 m2 exhibition space, which will complete the 1300 m2 display that the company currently has at its headquarters in Castellón, will be exclusively dedicated to emphasizing the unique features and size of the large format tiles from its well-known Coverlam brand. This is a novel exhibition concept that is sure to leave a lasting impression on visitors. In this new area, designed by the architecture studio Sanhauja & Partners, Grespania will create an innovative space that defies the standards of the ceramic tile showrooms we are so used to seeing. Here, architects, design advisors and professional customers can seek inspiration and come away with numerous ideas of ways to use Coverlam. This experience is designed so that the visitor can follow a path round the showroom, evoking a pleasant, inspiration-seeking stroll, as if they were a tourist discovering a new city. This is the key concept that has inspired the design of the space, along with the use of natural light and a Mediterranean-inspired feel, which are the hallmark of Jaime Sanhauja. 32 sql / 6 sqlseo / 0.05439496s.